A fiction piece of mine was included in the latest issue of Your Impossible Voice. 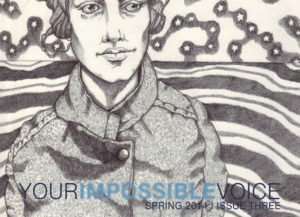 Your Impossible Voice is a fairly new magazine (this is only issue three) that has already been putting out some great stuff. This issue is no exception–my story is in great company. You can order a print copy here, and it’s also available in a whole slew of different e-reader versions for those of you with fancy tablet-type things. My piece in there is called “The Doppler,” and it’s kinda weird. The folks there asked me to record myself reading it for the website, and I learned one important lesson from my attempt at this: Good lord, I’m glad I don’t actually have to hear myself talk on a regular basis. They almost had to rename the magazine Your Annoying Voice. Yeesh. 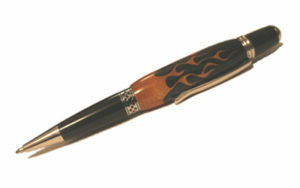 This entry was posted in fiction, publications, writing. Bookmark the permalink.